TPG Growth, the $7 billion middle market and growth equity investment platform, today announced it has invested in C3 IoT. The investment adds to TPG’s franchise and extensive track record in the technology space. Founded by Silicon Valley icon Thomas Siebel, C3 IoT applies the sciences of big data, advanced analytics and machine learning to enable a new generation of smart business processes and predictive analytic applications that enable businesses to create competitive advantage. The C3 IoT Platform is a development environment that enables IT teams to design, develop and deploy enterprise-scale big data and IoT applications. 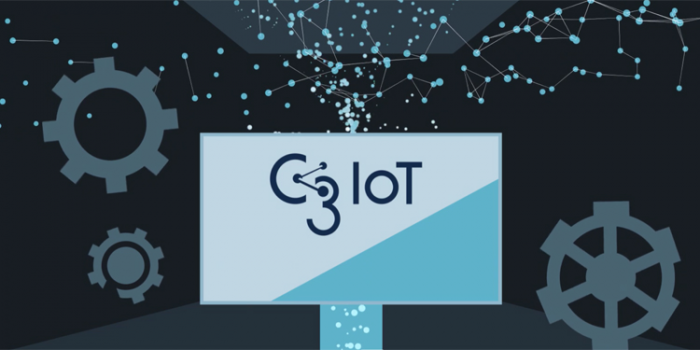 The C3 IoT Platform aggregates and integrates volumes of disparate data – from sensors on industrial and commercial devices such as home automation systems, production lines, aerospace equipment and machinery; enterprise operational systems such as financial transactional systems and ERP systems; and third-party extraprise sources such as weather, traffic, and social media – and delivers machine learning-based predictive analytics to improve operational efficiencies, enhance customer engagement and differentiate products and services. C3 IoT provides pre-built SaaS applications, including predictive maintenance, fraud detection, energy management and network sensor health for organizations in manufacturing, oil and gas, healthcare, retail, aerospace, transportation, telecommunications and the public sector. Enterprises and system integrators also use the C3 IoT Platform as a service (PaaS) to build and deploy custom big data and IoT applications. ENGIE, a 70 billion EUR global integrated energy company, selected the C3 IoT Platform and applications as the technology foundation for its enterprise-wide IoT transformation plan to accelerate ENGIE’s digital innovation. U.S. Department of State awarded C3 IoT a multi-year contract of $25 million to deploy energy management and predictive analytics technology globally – across 22,000 facilities in 190 countries – to achieve and maintain statutory, executive order and department energy and sustainability goals. This Series D equity financing round, led by TPG, also included returning investors Sutter Hill, Interwest Partners and Thomas Siebel.